If you are already a gamer playing in stereoscopic 3D mode or are at least following what has been happening with stereo 3D you have probably noticed that lately stereo 3D gaming is being left aside and both AMD and Nvidia are focusing on 4K gaming as the next big thing in gaming. The question here is if 4K gaming will become the norm in a few years or it will have fate that stereo 3D gaming does currently have – not supported and left to the community hoping that it will keep it alive. Nvidia has done great by reviving its old stereoscopic 3D drivers and pushing both hardware manufacturers and gamers to go and try stereoscopic 3D gaming a few years ago and thus creating the big market for stereoscopic 3D gaming itself. Of course there were also other solutions already available at that time, but they did not have the needed resources and the interest in general in stereo 3D was not that strong back then. AMD on the other hand also supported kind of stereoscopic 3D, but it was “outsourced” to partners such as iZ3D and DDD, because the company never did have very strong interest in stereoscopic 3D gaming. With the boom of the interest in stereo 3D after Cameron’s movie Avatar and because Nvidia already had strong positions in the stereoscopic 3D gaming market that it has helped create, AMD had to do something more and the HD3D technology has been introduced. The problem is that AMD did not try to push game developers to support this technology (this often happens with the innovative technologies they announce) and while Nvidia has done a better job at first, lately they give the impression as they are not considering their 3D Vision technology as something they need to push anymore. So at the moment only DDD are actively developing their TriDef 3D solution and are pursuing not only stereo 3D on the PC, but also on other markets such as mobile devices and they are even offering a beta support for the Oculus Rift. Meanwhile what happened to the market is that people yet again got interested in VR technology and gaming in VR environments mostly thanks to the Oculus Rift project and the really good feedback it got not only by consumers, but by developers as well. And just like stereoscopic 3D the Head Mounted Displays are nothing really new, they are just something that got revived yet again thanks to the recent huge boom in technology for mobile devices that allows you to pack good enough hardware in a small package and most importantly at an affordable price. The revival in the interest in VR gaming has also helped the development of various non-traditional controllers, but while the hardware is here or will soon be available the biggest issue that remains is the availability of software that will support it. With the Oculus Rift things are already moving quite well and with the introduction of the consumer version of the device in 2014 it could really be the next big thing in gaming and not 4K. Even the lower resolution development kits of the Rift have demonstrated that the resolution is not the most important thing for gaming, though it helps, it should not only be all about the resolution. The experience you are getting while gaming is way more important than to have some more pixels and that goes not only when talking about the hardware you are using, but also for the games you are going to be playing. 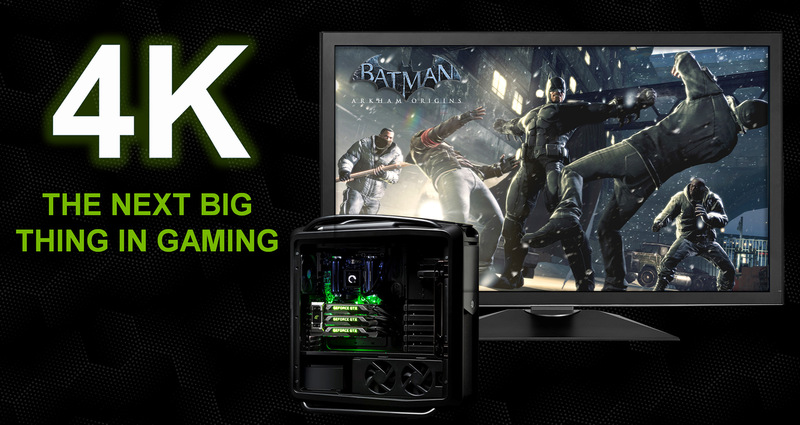 Let’s get back to 4K gaming and see what is happening there and why. Hardware companies already started promoting the new technology supporting 4K as 1080p or Full HD has apparently gotten old and widely adopted, so the industry needs to provide something new. Obviously increasing the resolution of a display is a good choice as you will need more powerful hardware that is capable of supporting the higher resolution, and before the technology starts to become widely adopted the prices will be high and the profit will be good. Both AMD and Nvidia will want you to buy not just one high-end video card, but two or even three in order to be able to play in 4K resolution at maximum detail levels in the latest games. And it is not only the video card, you will also need a high-end CPU, more memory, faster disk drives etc. so this will be driving the hardware market forward obviously. At the moment however not that many people are readily giving 3-4K USD for a PC and then again that much for a 4K display like the Asus PQ321QE (there are not that many options available yet) just to be able to got higher resolution. 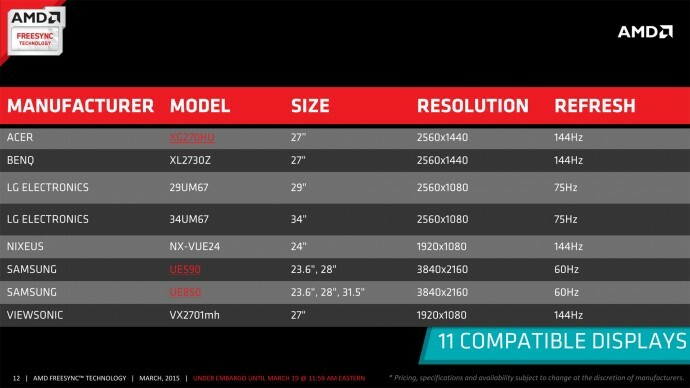 * The numbers in red and green represent the upgrade or downgrade of the specific parameter in the GTX 650 Ti as compared to the GTX 550 1GB! So the GeForce GTX 650 Ti is in overall a good successor for the GTX 550 Ti in terms of specifications and it should be offering a good performance increase as well, though according to Nvidia the people that should upgrade their GPU to the 650 Ti are probably the ones that are still using cards such as GeForce 9600 GT. And when talking about the competition, the GTX 650 Ti should be fighting with AMD’s Radeon HD 7770, but this goes as far as playing games in 2D, so what about stereoscopic 3D gaming? 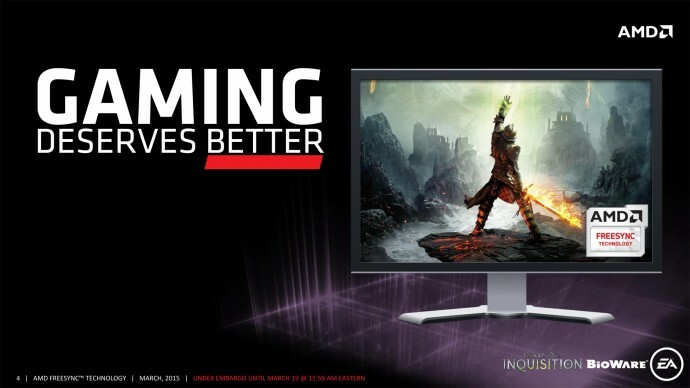 The benchmark results above were achieved on a mid-range computer – MSI P55 motherboard, Intel Core i5 750 processor, 4GB RAM and Windows 7 64-bit, together with a reference GTX 650 Ti graphics card all of which were not overclocked. They games were ran at 1280×720 resolution in stereoscopic 3D mode with no AA, but the good thing about using AA filtering at 720p resolution is that it is really not as taxing as on 1080p resolution in terms of performance. So activating 4xAA in most games like the ones listed in the table only brings down the average FPS with something like 3-5 frames, and using 2xAA or 4xAA can really help in improving the visual quality at that resolution. So as expected, the GeForce GTX 650 Ti is a great card for more budget oriented stereoscopic 3D gamers that want to be able to play in stereo 3D mode on their 3D HDTV or 3D-capable projector at 720p resolution. If you want to be able to enjoy games in stereoscopic 3D mode on a 3D monitor at 1080p resolution you should consider going at least for GeForce GTX 660 Ti in order to get a good experience. On the other hand the GeForce GTX 650 Ti does perform quite well in Full HD resolution in most games if you don’t want to play them in stereoscopic 3D mode, and you can do that as well on a 3D HDTV, though with a 3D projector not all models that support 720p 3D mode do support 1080p in 2D as well. 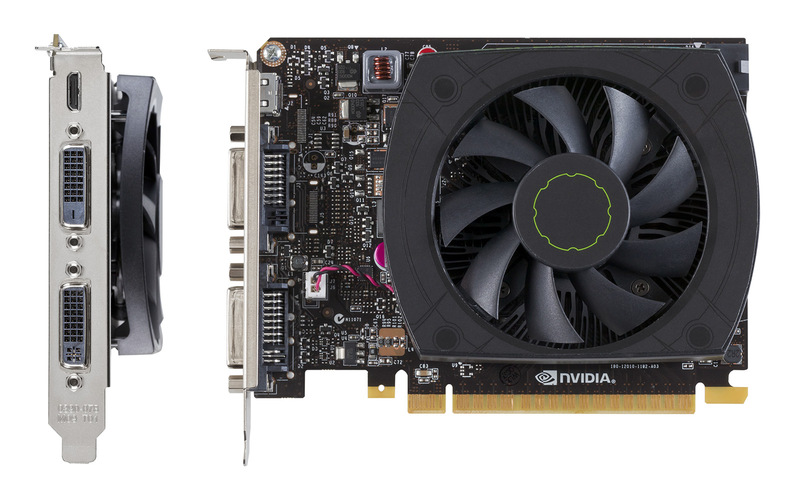 So in the end the GeForce GTX 650 Ti is a nice card that you can get for $159 USD and be able to get good experience playing in 1080p in 2D mode or 720p in stereoscopic 3D mode. The card is small, does not consume a lot of energy, the cooling is silent and at the same time you get good performance out of it – a perfect combination for the not so demanding gamers or the ones with a more limited budget that cannot afford or just don’t need to buy the top models. Well done Nvidia.